Do zombified characters eating people count as vore? I'd say so. Boy, Spiderman looks like he's having a bad day. Another day in the life of Spiderman I guess. Well, undead life of Spiderman. Think you might do anymore Marvel Zombies art? Tbh I never thought anyone would be too into the idea, but sure! I love the series so I might as well plague the series with sin. Thanks man! 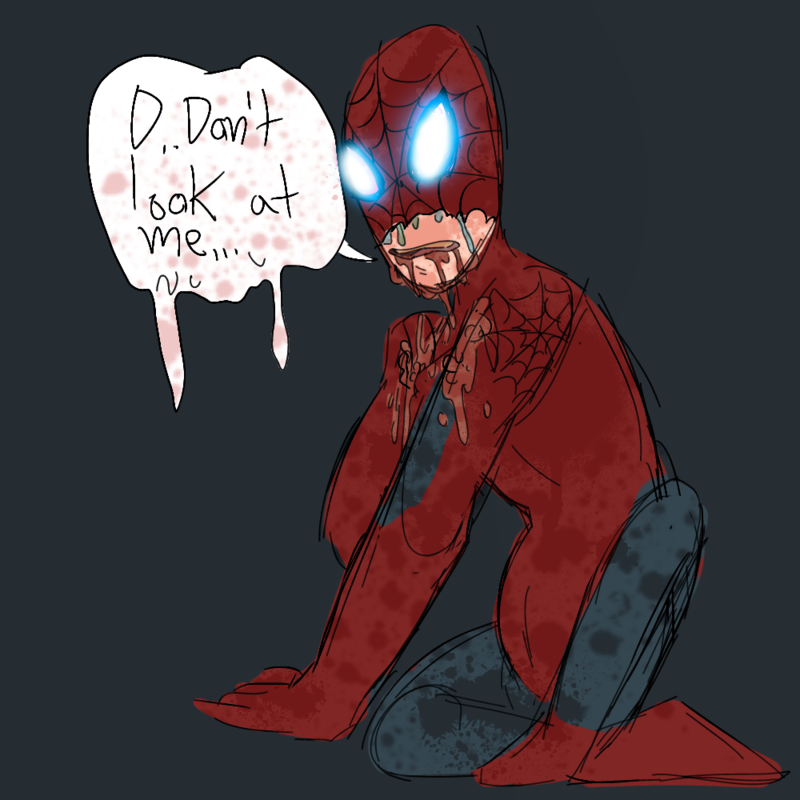 Tbh I might do stuff with just zombie Spiderman, all the other characters are nice but I can't imagine much. So we'll just have to see what my sick mind thinks up! Either way, I appreciate the interest! No problem. Well, I'd say there's plenty material in the comics for some ideas. I actually did a pic of She-Hulk eating Mr. Fantastic and Invisible Woman's kids and I found it ironic because in the Marvel Zombies she does end up eating them. So I'd say from the stuff I've read there's plenty of ideas to work with. Wow, guess you're right about that! I could definitely try to. Alright. ^^ And if you feel stuck, I can help you out and bounce around ideas. That would be awesome! Because as much as I LOVE to draw vore scenarios, I can never really come up with much(which is a surprise because I normally have an active imagination). I understand what you mean. I have the same trouble but it helps to just start with a simple idea and try adjust it to your liking as you draw it out. Just takes a bit of planning is all. Ah I see, thanks for the tip still! Page generated in 16.8412 miliseconds. 19 Queries.